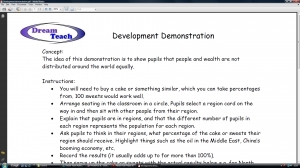 This development demonstration provides an excellent way to show pupils the unequal distribution of wealth. It works best using a cake or other object that can be split into percentages. Pupils are split into parts of the world, and they have to decide.. This is a set of cards for a class of 25. 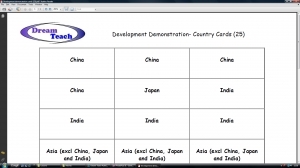 Additional cards can be added, or existing cards taken away to adjust for other class sizes. This is a set of cards for a class of 30. 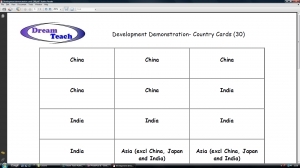 Additional cards can be added, or existing cards taken away to adjust for other class sizes.